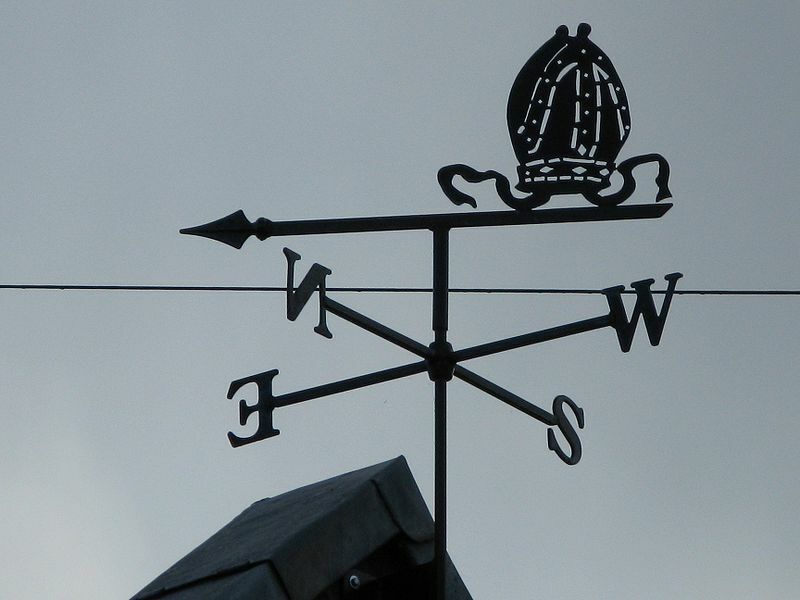 Photo description: A weather vane can be seen on top of a house roof. It shows the letters N, S, E, W which represent north, south, east and west. It is used for wind direction.